We’re one week closer to the release of FANTASTIC BEASTS: THE CRIMES OF GRINDELWALD! Did you catch the final trailer release? Don’t worry if you missed it! I’ve got it here for you. 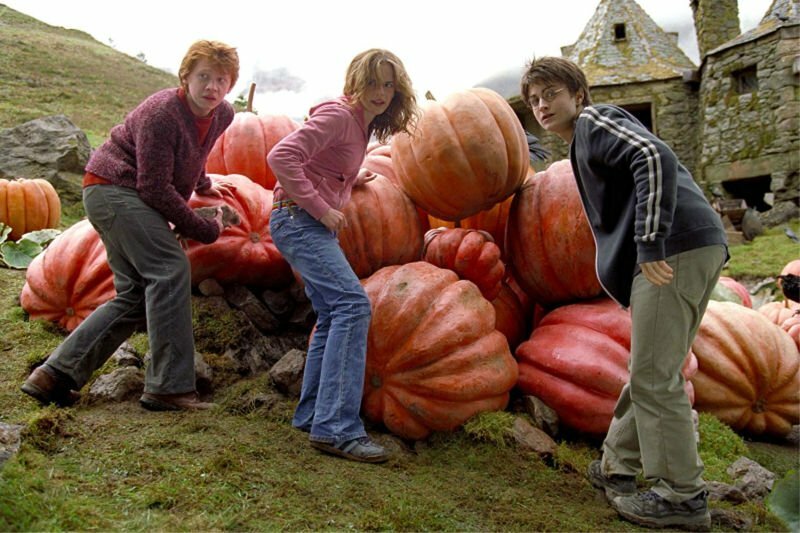 This week, we’re watching HARRY POTTER AND THE PRISONER OF AZKABAN to get ready. 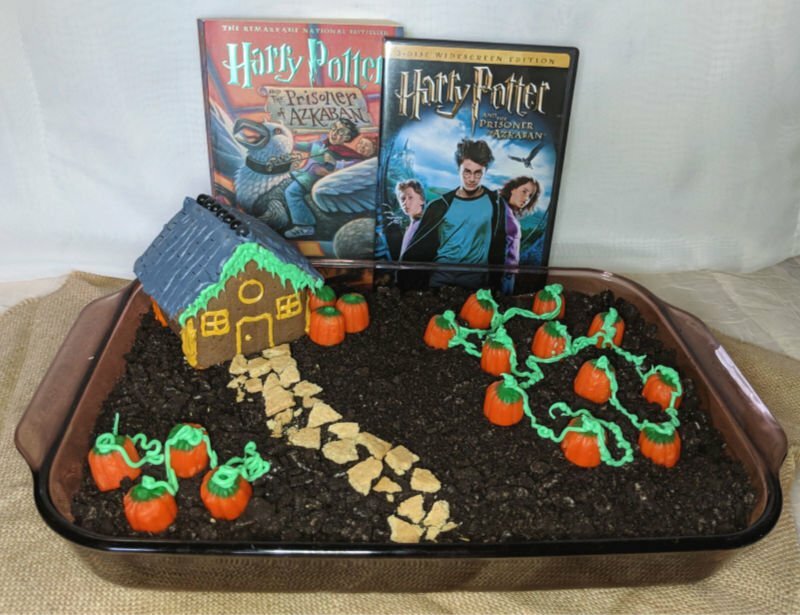 I’ve got Hagrid’s Hut Pumpkin Patch dessert. Life, Family, Joy has Harry Potter Gryffindor key fobs, and They Call Me T made cute Harry Potter Boo Bags! You’ve seen HARRY POTTER AND THE PRISONER OF AZKABAN, but maybe it’s been awhile. 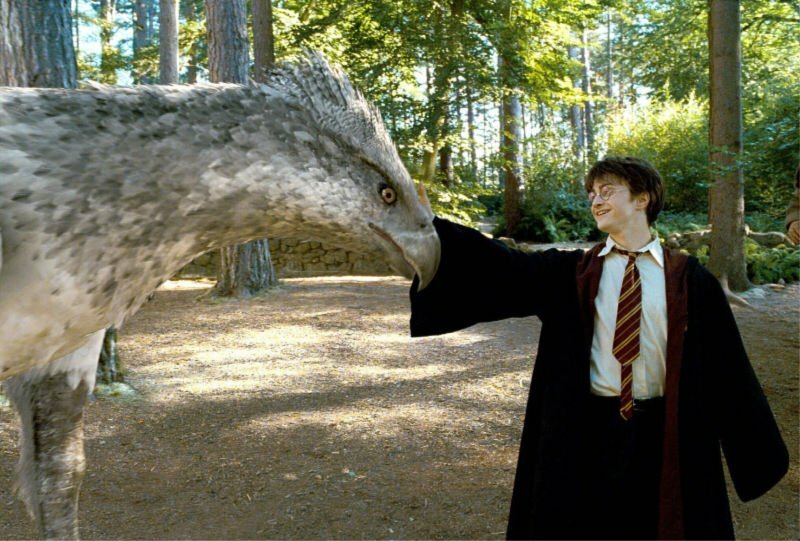 This is the movie in which Buckbeak makes his appearance. After a “vicious” attack on Draco Malfoy, Buckbeak gets sentenced to death and awaits his punishment in Hagrid’s pumpkin patch. I love Hagrid. He’s a wonderful character, and he’s got a soft spot for all living things. You know it all works out in the end, but poor Hagrid! 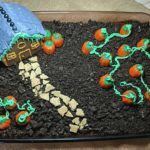 Well, there’s nothing like a good chocolatey dessert to cheer you up, so we’ve got Hagrid’s Hut and Pumpkin Patch Dessert to chase your blues away. 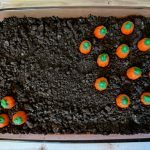 This twist on dirt pudding will make any Harry Potter fan happy! 1 small box gingerbread house We got a tiny Halloween house at Target. You can make your own. Make pudding with milk according to directions on box. Pour pudding into a 9x13 dish and chill until set. Make Hagrid's hut with kit or however you want. Decorate with frosting. Make vines with frosting. Use graham crackers to make a path if you want. Go crazy! © 2005 Warner Bros. Ent. 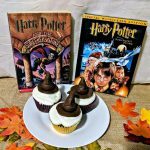 Harry Potter Publishing Rights J.K.R. © 2004 Warner Bros. Ent. 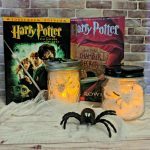 Harry Potter Publishing Rights J.K.R. The final trailer for FANTASTIC BEASTS: THE CRIMES OF GRINDELWALD is out now! Watch it here!